HGAR creates opportunities for members to grow their businesses and succeed in their communities. At the Hudson Gateway Association of REALTORS®, we come to work every day to help REALTORS thrive. We think REALTORS are the unsung heroes of the neighborhoods we live, work and play in, because they drive the economy, help people realize the dream of homeownership and fiercely protect their clients. Unequivocally committed. Whether you work in real estate or just stopped by our site to find out about how to become a REALTOR, we’d like you to know that we’re unequivocally committed to helping our members thrive. 92 percent of member dues are spent on member services. Many people don’t realize that REALTORS are, by and large, independent contractors. That means that when they choose to be a member of HGAR, they’re investing their hard-earned money into our association. We never forget that, and it’s why we spend 92 percent of every member dollar on member services. Tools and data. Our job is to give our members the tools and resources that will help them work with their customers and clients effectively. With access to the Multiple Listing Service our members and their clients have access to 100 percent accurate data, 100 percent of the time so that everyone can make informed decisions. We live and breathe real estate data so that our members can do their jobs with confidence. Manhattan, Westchester, Hudson Valley and beyond. HGAR is focused on the needs of residential real estate brokers. Our mission is to help our members connect with each other and their clients and customers. HGAR has served the New York real estate community since 1916, though not always under the name Hudson Gateway. We are the proud result of six local New York associations coming together to build a better, bigger and stronger organization for our members. The oldest association in our history, the Westchester County Realty Board, was founded in 1916 in White Plains. In 1929, we published the first edition of the Westchester Realtor Magazine, whose successor publication, Real Estate In-Depth, began publishing in 1996. In 1947, the Pelham Realty Board merged with us. But in 2009, the pace of consolidation took on speed, first with the Putnam County Association of Realtors, followed by the Rockland County Board of Realtors and the Orange County Association of Realtors in 2011. That’s also when we became formally known as the Hudson Gateway Association of Realtors and MLS. In 2016, the Manhattan Association of Realtors merged with HGAR, increasing our coverage area to include the city with accurate data and world-class education and services. Gratitude. Every member of HGAR matters and is served accordingly. Purpose. Our mission is to help you thrive. We are at your side. Focus. We put the needs of residential real estate brokers first. Efficiency. We spend 92 percent of dues on services that directly benefit members. Ethics. We are governed by the National Association of REALTORS® Code of Ethics. Leadership. Our board is comprised of working brokers, elected by the membership. Privacy. We do not sell or share your contact information. Ever. 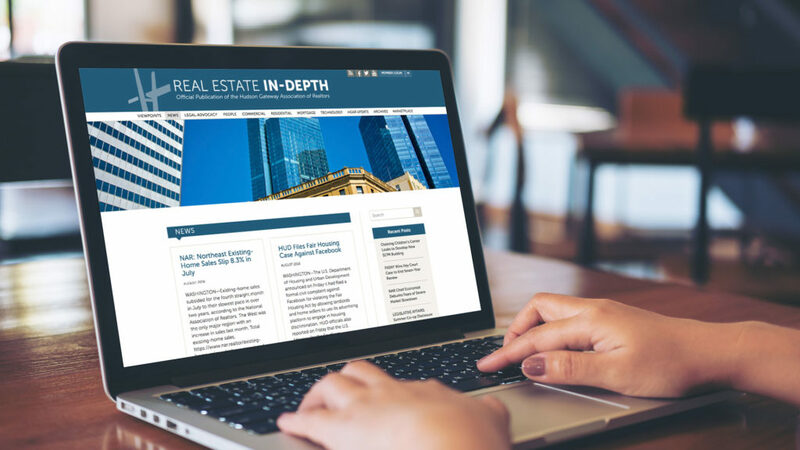 Get the latest coverage of local and highly targeted real estate and business news.